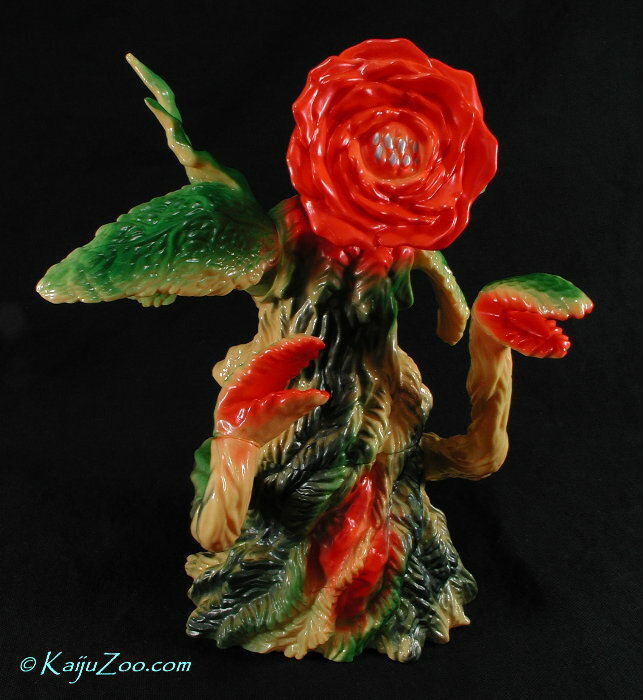 This is the Marmit Monster Heaven version of the Rose Flower form Biollante released in September of 2006. The paint scheme is something to behold, using lovely hues of bright metallic light and dark green over tan vinyl and accented with gold on the fins and bloody red mouths!! 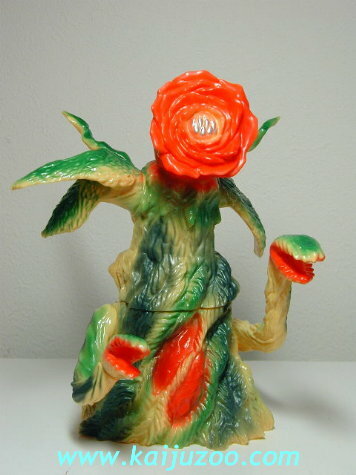 The figure is about 9" tall and each of the toothy tendrils and leaves are articulated to allow for extra positioning. 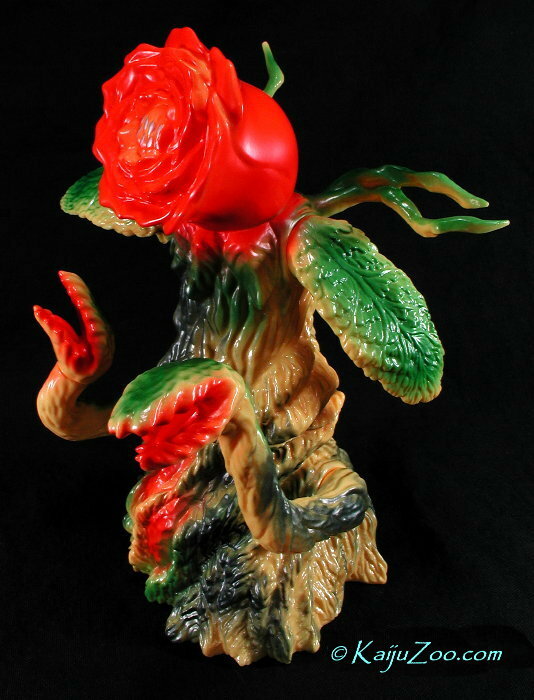 Your Marmit Rose Flower Form Biollante will come packaged fresh from the 2006 toy show, still MINT IN BAG and never opened. Check out my pics below for more close-ups of the figure from my personal collection. 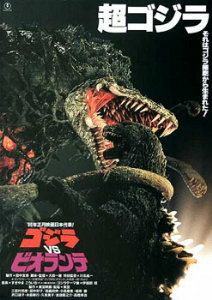 and add it to your kaiju collection; this is one heck of a fun toy !! NOTE: This sale is ONLY for the Marmit Rose Biollante, the two posters shown at the top are only for background information. 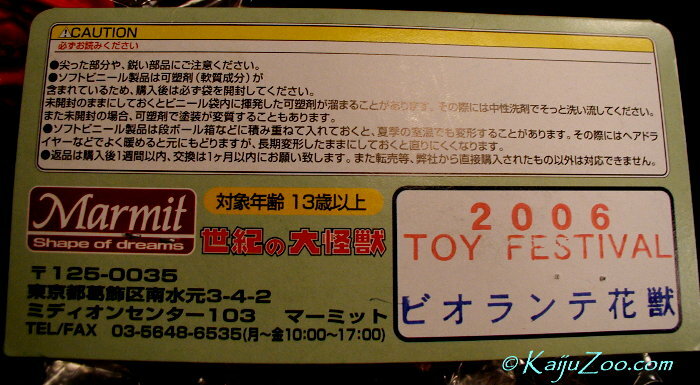 G-Fan Magazine (Issue #72 - Summer 2005) as "Dealer of the Month". 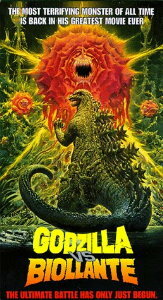 ... And please click here to check out my current auctions for more cool Godzilla and other Japanese science fiction and fantasy items and email me if you have any questions. Multiple purchases will provide you with a discount on shipping. 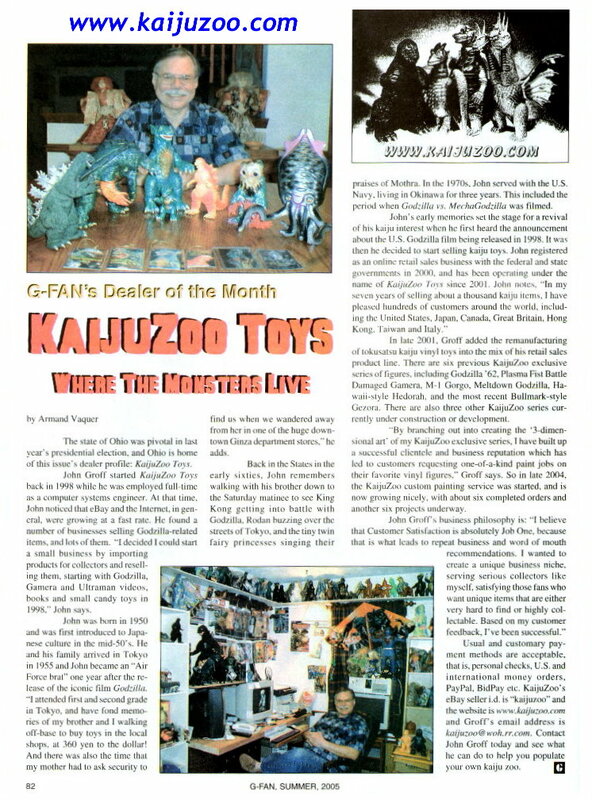 Condition is very important for preserving collectibles so all of my KaijuZoo items offered for sale are from a DUST, SUNLIGHT & SMOKE-FREE environment. Each item is guaranteed to be exactly as described and everything will be very carefully packaged with plastic-wrap and/or lots of peanuts to help ensure a safe shipment. Based on Zip Code Postal Zones, U.S. buyers pay for insured Priority Mail shipping/handling which includes Delivery Confirmation. Payment options are money order, personal check and PayPal payments will be shipped to Confirmed Addresses only. International shipments will only be with EMS insured shipping so international bidders should contact me before bidding to determine the S/H/I charges. 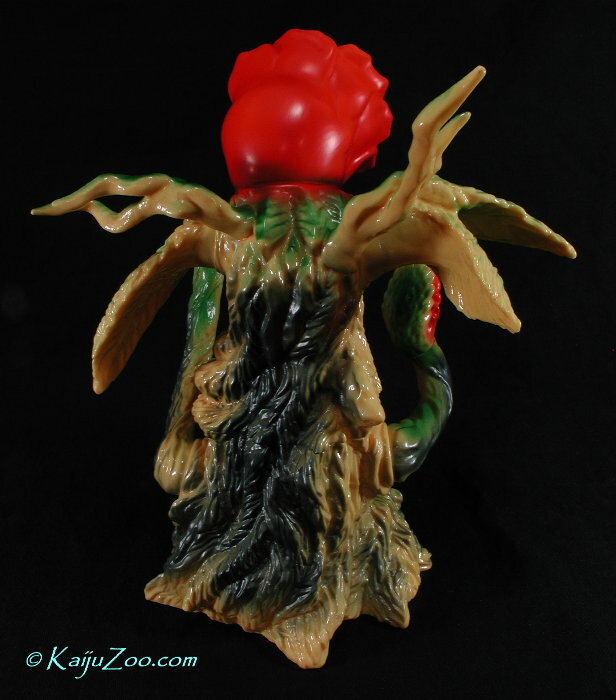 Click here to email me about this and other cool KaijuZoo Japanese toys & books!! !